Collins postponed his London concert after being rushed to the hospital. Collins management says in a statement that concerts Thursday and Friday night at London's Royal Albert Hall have been postponed until November. 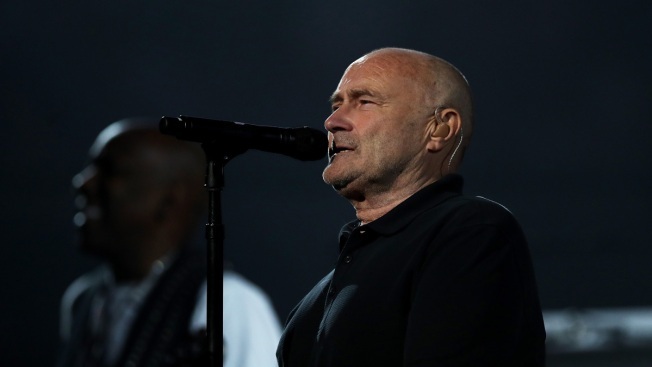 Singer Phil Collins has been rushed to the hospital after a fall in his London hotel room left him with a severe gash near his eye that required stitches. His management says in a statement that concerts Thursday and Friday night at London's Royal Albert Hall have been postponed until November. The 66-year-old former Genesis star, who suffers from a gait abnormality after a back operation, tripped over a chair in the middle of the night. He was given stitches for the cut on his head and will be kept under observation for 24 hours. Collins is expected to continue his comeback tour in Cologne, Germany, on Sunday before performing at British Summer Time Hyde Park on June 30.